I have been reading some newer blogs and I have noticed that some people worry about what to blog about. They even become so worried about blogging about the “wrong” thing that it inhibits their natural flow and ability to write. I have seen that some people are so concerned about what they should write about that they pose this question to their readers. Usually the readers tell them to write about what they feel called to write. Some days you feel like writing about one kind of thing and other days you might want to just write poetry or even post pictures that you drew. If you are a new blogger or are struggling with this question of what to blog about, then this post is for you. You live in a world where people want to control you, in order to form you into someone who better serves their agenda. You check in with people about what you wear and what you are doing. You want people to “approve” of you….but at what cost? How much are we willing to give up, in order to make other people happy or make other people approve of us. Do the people that complain the most about how we are ever seem to be happy?…even when you try your best to please them? Aren’t you tired of doing things to please other people? 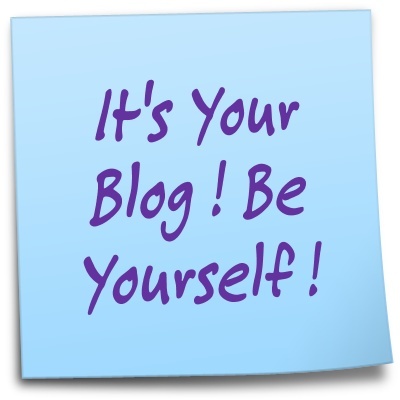 That is what your blog is for! Yes!! You can be yourself here. No matter what you write about, someone will approve of it and understand it. Simply because there are sooooo many bloggers. There are so many bloggers that no matter what you want to write about. No matter how weird you are, boring you think you are or off thev wall you think you are…there is someone out here in WordPress land that will appreciate you for it. Don’t write to try to please people or try to be someone that will “fit in” . You will fit in with a nitch, a subculture on WordPress. Just be yourself. Don’t stress over making the posts match a theme or have a logical flow. Truthfully you could start with a theme now and as you learn and grow as a blogger you might realize in three months that you are interested in writing about something you are not even thinking about right now. As you come across new interests you might blog about that. There is an amazing photographer that I follow and one day she decided to learn how to draw Zentangles. Now she has added a Zentangle section to her blog. A year ago she did not know what Zentangles were. Now she is very good at drawing them and inspires others. Read other blogs. Search tags you are interested in. Tag your posts by what they are about. You will meet people and you will grow in ways you never expected. It is open ended and unpredictable. Blogging is an adventure and you never know what will happen. You can’t really predict what will be going on with your blog in six months, so don’t worry about posting the “right” kind of topic. Write about what interests you. Write about your experiences. As you read other blogs, you will be inspired to research new things and write about those too. Be yourself. This is your place to let your voice be heard. It’s Your Blog. It’s Your Voice!